In this chapter, we address the nature of haptic face perception. People can perform this task well above chance with relatively little training. We concentrate on how the haptic system processes and represents facial identity and emotional expressions both functionally and neurally. With respect to face processes, we consider issues that pertain to configural vs. feature-based processing, to visual mediation vs. multisensory processing, and to intersensory transfer. With respect to face representations, we consider the role of orientation, the relative importance of different facial regions to haptic face perception, and the theoretical approaches that have been applied to the study of human facial emotions. Additionally, we address what is known about the corresponding neural mechanisms that subserve haptic face perception. 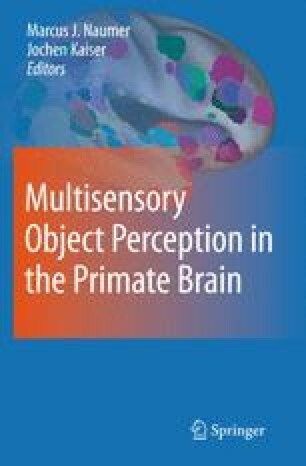 We also relate this relatively new sub-area of haptic perception to the more extensive literature on visual face processing. This chapter was prepared with the financial assistance of a grant to SL from the Canadian Institutes for Health (CIHR). We thank Cheryl Hamilton for her help in preparing the manuscript for publication.